UNITED NATIONS (Sputnik) - The United Nations and the international community should encourage the lifting of sanctions imposed by the United States on Venezuela, Foreign Minister Jorge Arreaza said in a press briefing on Tuesday. "What we have asked the United Nations and the world is to promote the lifting of sanctions to get rid of the blockade against Venezuela and to lift the seizure of our assets of $30 billion", Arreaza told reporters. Arreaza also said the US sanctions harm the people of Venezuela and freeing the seized assets would alleviate the humanitarian crisis in the country. Arreaza said the US sanctions harm the people of Venezuela and freeing the seized assets would alleviate the humanitarian crisis in the country. Venezuelan Foreign Minister also noted that he discussed with UN Secretary-General Antonio Guterres humanitarian aid and strengthening the cooperation between his country and the United Nations. "We spoke about this [humanitarian aid], we spoke about deepening the cooperation with UN agencies in those sectors of Venezuelan economy that had been affected by the kind of warfare we have seen, the new kind of warfare, international economic warfare", Arreaza said. The foreign minister added that while the Venezuelan mission is in New York, they will continue to meet with a number of representatives from other UN member-states to promote Venezuela’s cooperation with the organization. On Monday, Arreaza met with Guterres at the UN headquarters in New York at the request of Venezuela. During the meeting, the Secretary-General reiterated his readiness to provide mitigation assistance to the country’s government and the opposition. "The Secretary-General reaffirmed that his offer of good offices to both parties remains available for serious negotiation to help the country out of the present standoff for the benefit of the people of Venezuela", the UN Spokesperson Stephane Dujarric said in a statement on Monday. 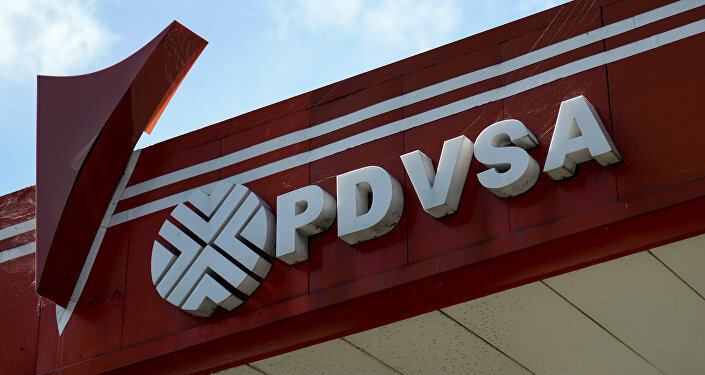 In January, the United States blocked all assets of Venezuelan state-owned oil company PDVSA in its jurisdiction and imposed a ban on deals with the company. US Treasury Secretary Steven Mnuchin said the United States undertook the move to take care of PDVSA "in the interests of the Venezuelan people" and also protect its own market. Venezuelan President Nicolas Maduro has criticized US sanctions against Venezuelan company and said the imposed restrictions were tantamount to illegal seizure of assets. The political crisis erupted in Venezuela after the leader of the opposition-led Venezuelan National Authority, Juan Guaido, proclaimed himself the country's interim president in late January. The opposition leader was recognized by the United States and some other countries. Russia, China, Iran, Turkey and Mexico as well as several other nations, have backed constitutionally elected Venezuelan President Nicolas Maduro as the country's legitimate president and demanded a respect for the principle of non-interference in Venezuela's internal affairs. Maduro has said Guaido is a puppet of the United States and accused Washington of attempting to organize a coup d’etat in Venezuela and informed the US government of his decision to sever diplomatic relations. The United States has refused to withdraw its diplomatic personnel from Venezuela.